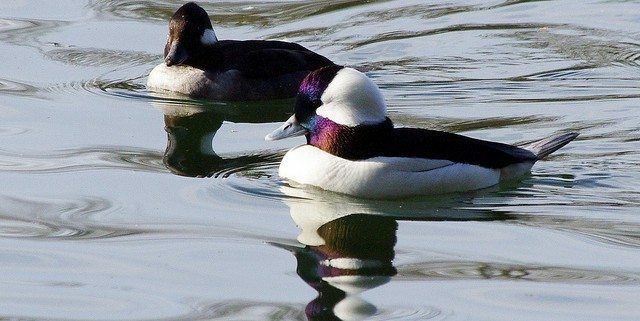 Buffleheads are a species that binds the B.C. interior and the B.C. coast together. These black and white ducks, are small, cute, and plump. They can be found bobbing around small ponds in the boreal forest from April until October, and in sheltered bays of the Pacific and North Atlantic through the winter. A type of ‘diving duck,’ Buffleheads are also jumping ducks. In the early spring, back at their summer breeding grounds, males and females pair bond. Older birds will breed with the same partner for many years in a row. New pairs form after males (called drakes) put on a good show of dancing, head-bobbing, and diving around their female counterpart. Later, females select a good nest site. This is almost always in a balsam poplar close to a small pond. Buffleheads nest in cavities made by northern flickers, a species of woodpecker. The cavity openings are very small – only about 5 cm across. This helps keep out other, larger competitors and predators. In May, females lay clutches of about 6-12 eggs in a bed of down. Eggs hatch about a month later. 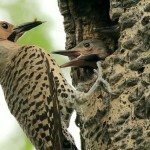 Males stick around to help brood the eggs for about half the time and then leave to molt. Then comes the fun! After 1-2 days, the mother encourages the ducklings to leave the nest. The ducklings are born with a full coat of down and their eyes open, so they are ready for this. But it is still a big jump. Literally. Buffleheads nest well above the ground and the little ducklings need to jump out of the nest. 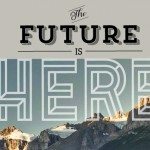 Show this video to your students! They will love it! Females care for their young for 2-3 weeks and protect them for up to 6 weeks. By this time, the young have grown their flight feathers and are just about ready to take their first flight (about 55 days after birth). The mothers then leave their independent young. Come October, winter migrations begin. Buffleheads migrate mostly at night. In western Canada, the first to leave arrive in wintering habitats around the 15th of October. Larger groups of Buffleheads make the trek later, arriving on the Pacific coast by Remembrance Day. It is believed that cues from the sun spur the first migrants and that later migrants move with the first winter freeze-up. Climate change is a threat to Buffleheads because they are so punctual. As the climate continues to change their cues for moving and breeding may come out of sync with other species they rely on. Their habitat range will change too. See this animated map by the Audubon Society. 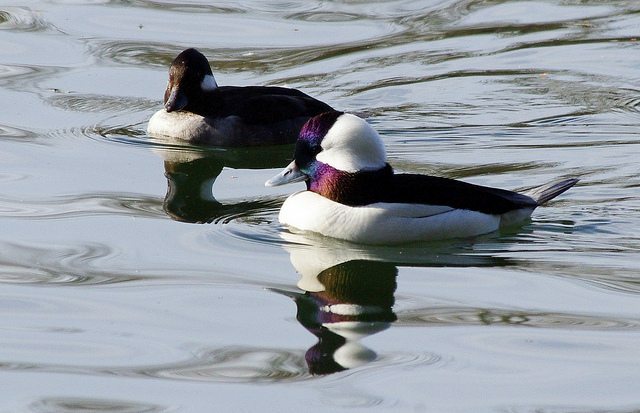 Buffleheads are active ducks and spend close to a quarter of their time diving for food. They are important links in both their summer and winter food chains. They eat insects like dragonflies, caddis flies, and different larvae in their summer habitats, as well as crustaceans, molluscs and small fish at the ocean. They are preyed on by mid-sized predators such as owls, and other predators like weasels and squirrels eat bufflehead eggs. Want to know more about what they look like or sound like? See here or here.